(a) Subject to rule 1.2.1, a lawyer shall abide by a client’s decisions concerning the objectives of representation and, as required by rule 1.4, shall reasonably consult with the client as to the means by which they are to be pursued. Subject to Business and Professions Code section 6068, subdivision (e)(1) and rule 1.6, a lawyer may take such action on behalf of the client as is impliedly authorized to carry out the representation. A lawyer shall abide by a client’s decision whether to settle a matter. Except as otherwise provided by law in a criminal case, the lawyer shall abide by the client’s decision, after consultation with the lawyer, as to a plea to be entered, whether to waive jury trial and whether the client will testify. 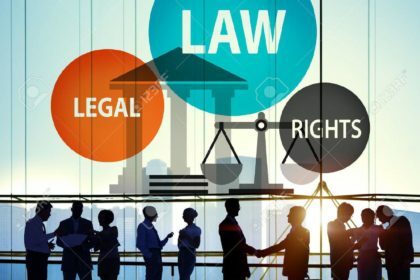 (b) A lawyer may limit the scope of the representation if the limitation is reasonable under the circumstances, is not otherwise prohibited by law, and the client gives informed consent. Because Rule 1.2 of the CBA’s new RPC is new, it does not replace any of the previous RPC’s rules, per se, but reflects clarification of duties owed and as previously outlined by ethic experts, published decisions and secondary sources. As confirmed by this rule, as set forth above, a lawyer shall abide by a client’s decisions concerning the objectives of the lawyer’s representation and shall consult reasonably with the client as to how those objectives should be pursued. These decisions may include whether or not to settle the case. In a criminal case, the client can decide which plea to enter, whether to waive a jury trial, and whether he or she will testify. A lawyer may also – according to Bus. & Prof. Code § 6068(e)(1) and Rule 1.6 (Confidential Information of a Client) – act on behalf of the client if authorized to do so. And, with the client’s “informed” consent, the lawyer can choose to limit the scope of representation, unless to do so is prohibited by law. In the American Bar Association (ABA)’s RPC, Rule 1.2(a)-(c) closely matches the wording found in the CBA’s RPC Rule 1.2(a)-(b), although the references to a criminal case are more clearly spelled out in the ABA’s rule. The information in subd. (d) of ABA’s rule – stating that a lawyer shall not counsel or assist a client in criminal or fraudulent behavior, but shall instead counsel or help the client to properly evaluate the law – does not appear in the CBA’s rule. Benefit: Generally speaking, this rule helps ensure a client’s objectives are properly addressed and followed.